Email is 40 times more effective than Facebook or Twitter at acquiring new customers, making it one of the most powerful digital marketing tools for small businesses. Plus, email marketing is relatively cost-effective, and with the variety of email marketing platforms available, there is a solution for every type of business. Of course, email marketing is only effective for small business owners who take the time to cultivate their email lists and send consistent and relevant messages, so coming up with compelling email marketing campaigns is a key part of the process. It may seem that email newsletters are the best way to reach out to your audience, and it may be a great format at times, but there are a lot of other ways you can use email marketing in your small business. Here are 11 types of email messages you can send to your list that aren't a newsletter, allowing you to change it up from time to time and truly engage your customers. Who doesn't love a freebie, a discount or a special offer? Most people do, and that is why special promotional email messages are an excellent way to boost engagement with your email marketing list. This type of email message also helps boost list engagement because it offers a valuable incentive for your subscribers to remain on your list. They will much more likely to open your next message if they find value in this one. Most types of businesses can use a free download to engage their email list. You can offer a template, a tip sheet, an instructional video, or even an image that can be used as computer or smartphone wallpaper. A free download can be used as a way to thank your current subscribers or encourage new leads to sign up for your mailing list. Just make sure your download is branded for your business and is something your subscribers will find valuable. Your initial instinct may be that company announcements are boring and not of interest to your customers, but there are many ways to tailor news so that it pulls in your subscribers. Are you announcing a new product line? Give your subscribers a chance to try it for free. Are you announcing that your company has won an award? Celebrate with your customers by offering them a limited time discount. Think about converting company news into something of real value for your customers by asking the question: what's in it for them? If you have a blog with a steady flow of new content, sending out a weekly or monthly digest of the most recent posts is a great way to keep your readers' eyes on your blog. Your email doesn't have to be long; just include the title and a sentence or two summarizing each post with a link to the full blog post. Content with images gets 94% more views than content without images, so if you have featured images on your posts, you may want to include one for each of your blog post listings. Do you follow up with customers after they make a purchase to gauge their happiness and see if they have any questions about the product they purchased or the service they received? A short yet personal check-in email is a great way to tell your customers they are important to you and that you sincerely want them to be happy with their purchases. If you have a customer satisfaction survey that you use in your business, consider including a link to that survey in your message so you can collect data and customer feedback that will help you improve your business over time. Depending on the type of information you collect from your subscribers upon sign-up, sending out birthday or anniversary notes is a great way to inject some personalized attention into your email campaigns. Ramp up engagement even more by including a free gift or special discount in celebration of your customer's special day. If you have a business that caters to children such as a restaurant or popular birthday party location, you can send messages to parents that offer a free dessert, special toy or even a discount for the child's birthday party. Who are your email marketing VIPs? GetResponse has some great tips for identifying your most important subscribers and creating a VIP experience that rewards them for their brand loyalty. To do this, you will need to decide on parameters that determine who your most important subscribers are, then segment your email list so you can send email messages just to that part of your list. One powerful VIP message is an invitation for early access to a sales event or another similar exclusive offer. If your business is a service-based business where customers frequently make appointments in advance, sending out reminder emails a few days to a week before an appointment is an excellent habit to get into. 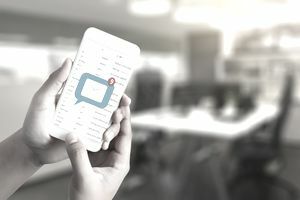 Not only do these reminder email messages help prevent no-shows, but they can also be very effective at presenting your customers with added value. For example, you can provide a quick list of items needed for the appointment, or provide links to documents that need to be completed to make the appointment go more smoothly. Transactional email messages are a must-have for businesses that allow customers to order products online. Examples of transactional emails are order confirmation, order status, and shipping confirmation. If you have an e-commerce website selling products, make it standard practice to automate transactional emails during each stage of the order process. You can also include other information in these transactional email messages that can boost sales such as a list of related products or top-sellers. Do you host or regularly participate in events in your business? Getting your customers there is often the biggest factor that determines how successful the event is. Don't assume your customers saw the flyer you had posted at the door when they were leaving your store. Send them an email invitation to make sure they are aware of the event and are encouraged to attend. Getting repeat business from current customers is the most cost-effective way to generate new business, so don't hesitate to send email messages that notify your customers when a product is going to be updated or a new and better version is on the way. You can create a dual purpose email that provides a new release update while offering a limited time discount for customers who upgrade right away. With any type of email message you send to your list, make sure your contact information is easily accessible, and that it is easy for people to unsubscribe as required by CAN-SPAM rules. You may also want to include social icons linking to your social profiles so you can connect with your customers throughout all of the platforms where your business has an active profile. If you are just getting started, review these eight email marketing mistakes so you can avoid falling into common traps that will cost you time and money.